The story of the week has to have come from Hollady, Utah where a couple’s two-year-old son shredded more than $1,000 in cash. In a case where real-life intersects with “oh my gosh,” the toddler took an envelope of cash and passed it through the shredder. All the child knew is that mommy was passing paper through the shredder, it made a cool noise, and created small pieces. What the child did not understand was that mommy was shredding junk mail (a good idea) and he did not know the difference between junk mail and paper money. The money was to be used to pay the husband’s parents back for season tickets to the Univerity of Utah football games. The Utah Utes are currently 3-2, 1-2 in Pac-12 play after defeating Stanford 40-21 in Palo Alto. All is not lost for the family. The Bureau of Engraving and Printing has a Mutilated Currency Redemption program. It is a free service that the family can use to recover from this incident. According to the BEP, the programs handles approximately 30,000 claims each year and recovers over $30 million in cash. But the process can take time. With the limited resources that the BEP has to work with and the time it would take for the BEP’s team to reconstruct the shredded notes, the family may have to wait at least two years. They do not call it the “terrible twos” for nothing. Next time the family may either want to hide the cash in safer location or write a check. A check can be rewritten more quickly than sending the money to the Mutilated Currency Redemption program. Collectors get the chance to own a piece of history in the making with exclusive products from the Royal Canadian Mint's new "R+D Lab Collection"
Summertime is a busy season for everyone. There is a lot going on. For me, I just opened my new business and have been busy trying to make sure it begins smoothly. So that I have more time to work on the business, once per week I will be looking back at articles I wrote in the past that are still relevant today. I will edit the article but point to the original. Our first look back returns to April 2006 where I was able to examine the design changes of the $20 Federal Reserve Note following a visit to the ATM. Money has always been a fascination because the design can reveal something about history. It interesting to look at a series of the same denomination and see the evolution as the times change. I had the chance see the evolution first hand when my bank’s ATM gave me three generations of $20 Federal Reserve Notes (FRN). Although I am not a banknote collector, I find their images and devices interesting. First, I found is the Series 1990 note with the signature of Treasury Secretary Nicholas F. Brady and Catalina Vasquez Villalpando, the Treasurer of the United States. Both Brady and Villalpando were appointed by President George H. W. Bush and served until the end of his term. Brady also served for six months under President Ronald W. Reagan. The second is a Series 2001 note with the signatures of Treasury Secretary Paul M. O’Neill and Treasurer Rosario Marin. They were appointed by President George W. Bush during his first term. 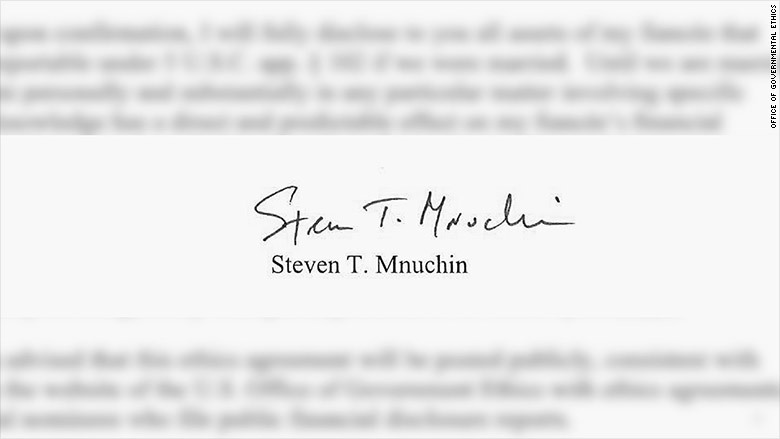 The third note is from Series 2004 with Marin’s signature along with Treasury Secretary John W. Snow, who succeeded O’Neill. The $20 FRN was first designed for the Series 1929 small notes as an evolution of earlier designs for large currency. There is a lot of ornate and fine engraving with a green hue. The fine engraving has been a staple of bank notes since their inception as a means to prevent counterfeiting. The “greenback” was used to prevent copying using new photographic technologies which had a difficult time reproducing the green color. Although modern technology does not have the same reproduction issues, the green color remains out of tradition. The newer notes do not feature a lot of fine engraving. The portrait of President Andrew Jackson appears on all of the notes but was enlarged on the newer notes with the border around the portrait removed on the Series 2004 notes. Another difference is the addition of color with a darker green hue and peach on the front. The reverse on all of the notes features the White House. The Series 1990 note uses an image taken from the south lawn near the ellipse while the newer notes use an image from the north lawn that could be seen from Pennsylvania Avenue. The engraving of the White House is smaller on the new notes and the borders removed to allow the watermark and security thread to be easily seen. I like the front of the latest note, but I don’t like the color. I also miss the indication of the Federal Reserve Bank for which the notes were printed. Although the designation of the issuing Federal Reserve Bank is not relevant anymore, it adds to the collecting pursuit for some people. I like the south lawn portrait better than the one from the north lawn. I am disappointed with the starkness of the reverse. I am not sure that BEP can change this given the nature of the security features. Finally, the attempt to colorize the notes is not working. It looks cheesy. If BEP colorizes the note, it should be more than just a gradient on the background. Many countries use color in their banknotes as part of the devices, not just to splash some color around to say “look at the color.” I think BEP can do better. The White House announced on Friday that Jovita Carranza will be nominated for Treasurer of the United States. Carranza had been a member of Trump campaign National Hispanic Advisory Council met with Trump in December about a position. Currently, she is acting director of the Small Business Administration. 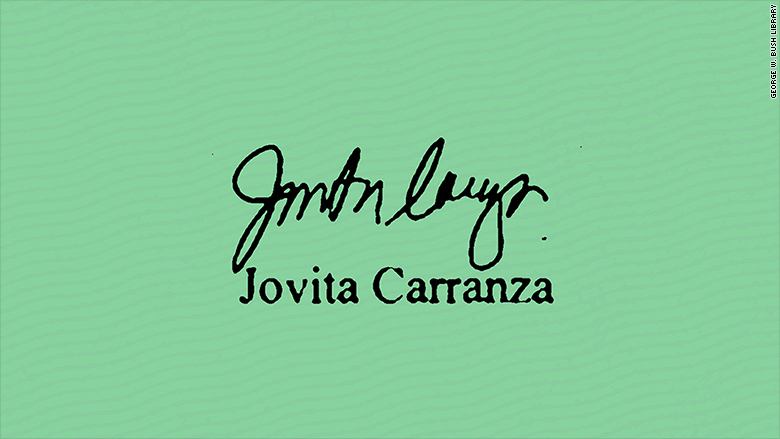 Ms. Carranza currently is the Founder of JCR Group which provides services to companies and non-governmental organizations. 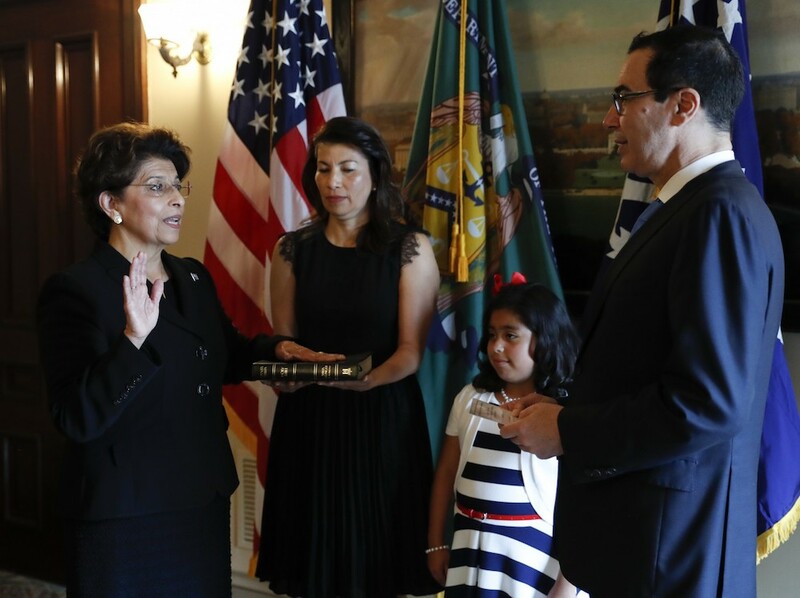 She previously served as Deputy Administrator of the U.S. Small Business Administration (SBA) under President George W. Bush, after receiving unanimous confirmation. 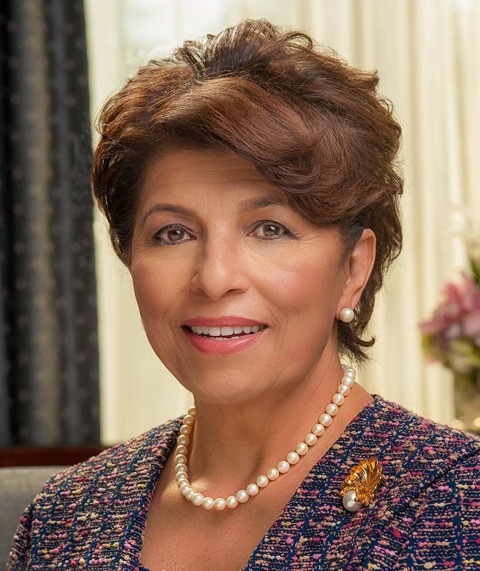 Prior to her service in SBA, Carranza had a distinguished career at United Parcel Service where she started as a part-time, night-shift box handler and worked her way up to be the highest ranking Latina in company history where she served as president of Latin America and Caribbean operations. Ms. Carranza earned her MBA from the University of Miami in Florida. She also has received executive, management and financial training at the INSEAD Business School in Paris, France; Michigan State University; and the University of Chicago. When confirmed Carranza will be the 44th Treasurer of the United States succeeding Rosie Rios who resigned on July 8, 2016. Rather ordinary considering the fun we had discussion Jack Lew’s Lewpts! Signature images courtesy of CNN Money. Sen. John McCain (R-AZ) once again introduced the Currency Optimization, Innovation, and National Savings Act of 2017 (COINS Act). Similar to the same bill he introduced in the last congress, the COINS Act (S. 759) proposed to end the production of the $1 Federal Reserve Note, reduce the production cost of the five cent coin by changing its composition, and eliminating the one cent coin. Mike Enzi (R-WY) is a co-sponsor. Of course “common sense” has a very different definition in Washington than the rest of the country. The first attempt to introduce a bill to end the production of the $1 note started in 1991 by then Rep. Jim Kolbe (R-AZ) and died at the end of the 102nd Congress. Kolbe introduced the legislation every session until his retirement in 2007 following the adjournment of the 109th congress. McCain has introduced the bill in the last three sessions of congress. I am sure that the usual arguments about eliminating the paper dollar will come up again. Even though a GAO report has shown that eliminating the paper dollar could save the government about $4.4 billion in production and handling costs, economic surveys have claimed a potential $16-18 billion benefit for the government. When the public is asked about eliminating the paper dollar, the arguments usually line up along generational lines. Surveys have shown that Baby Boomers (those born before 1964) and those older are overwhelmingly not in favor of eliminating the the paper note. The GenXers, those born 1965-1980, are almost evenly divided while the Millenials, those born since 1980, do not care because they are mostly tied to their credit and debit cards. The Baby Boomer that writes this blog is in favor of eliminating the paper dollar. In the past, he was in favor of eliminating the one cent coin but is beginning to have second thoughts. For the longest time, the Massachusetts delegation have held these types of bills back. 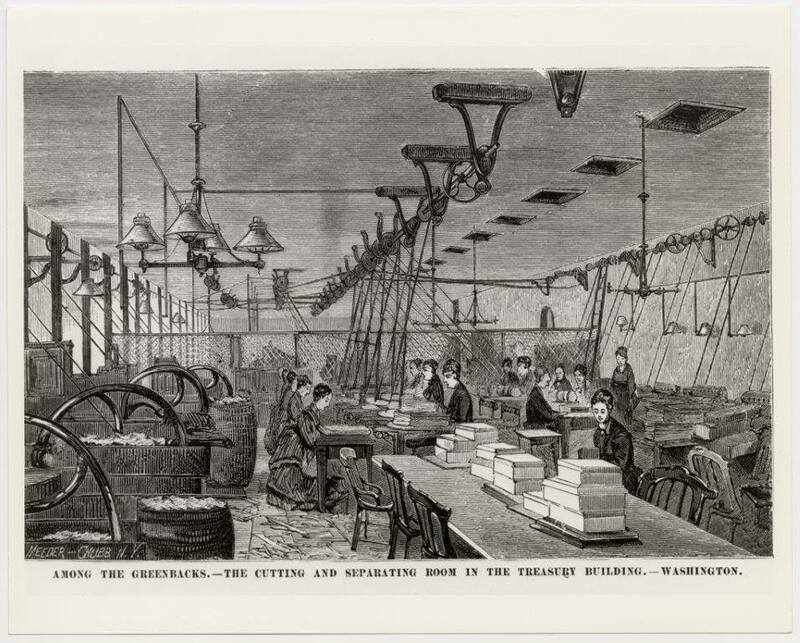 This is because the Dalton, Massachusetts based Crane & Co., the maker of currency paper, has been the exclusive currency paper supplier to the Bureau of Engraving and Printing since 1879. Although Elizabeth Warren (D-MA) has become a more powerful figure in the Senate, she is not a favorite amongst the majority and is tolerated by the more centrist members of her own party. Sen. Ed Markey (D-MA) does not have the gravitas either of his predecessors, the late Ted Kennedy and John Kerry, to yield influence. The only power the Senators have would be to filibuster any measure that would eliminate the $1 note. Sen. Warren has railed against military-related spending for non-essential equipment so that members of congress could keep these jobs in their districts. Would she be willing to follow her lead that could reduce the revenue of a company in her home state? When Patrick was 16, he was captured by Irish pirates and was taken to Ireland as a slave to look after the animals. After six years, he escaped his enslavement to return to his family in Great Britain. After becoming a cleric, he returned to Ireland follow his vision that he was called to help the people. Patrick was not welcomed when he arrived but worked with the society to convert them to Christianity. Although most of his writings portrayed that he was probably more successful than he was, but after working with the people, first in the northern regions of Ireland, he did find success. He once wrote that he baptized thousands of people and some have written that he baptized hundreds on a single day. Using the native three-leaf shamrock to describe the Holy Trinity, Patrick was promoted bishop and apostle of Ireland. He died on March 17, 461 in Saul, where he founded his first church. For thousands of years, the Irish have observed the day of Saint Patrick’s death as a religious holiday, attending church in the morning and celebrating with food and drink in the afternoon. The first St. Patrick’s Day parade was celebrated in 1762 when Irish soldiers serving in the English military marched through New York City. Coins from the year of your birth: I have helped several people buy proof and mint sets of coins from the year they were born. On one of my father’s milestone birthdays, I bought uncirculated coins from the year of his birth and had them slabbed in an NGC multi-coin holder when they were still being offered. Coins from a country special to you: On one of my wife’s milestone birthdays, I purchased a Canadian proof set from the year of her birth. Although she was born in the United States, her parents were from Canada and it has become a special collectible. Coins that have a special meaning: A friend keeps a Morgan Dollar in his top desk drawer. The desk used to belong to his grandfather who kept that coin as his “emergency dollar” during the Great Depression. Coins found during a happy or coincidental time: A client once showed me a 1958 Cuban peso that he found on the street in Miami that he keeps as a pocket piece. He decided that since it was the same year his family fled Cuba, it was a fortuitous find. Coins of a specific design: Sometimes the design may be added to the coin. I once met someone who had several Love Tokens from his relatives he says it is his family’s way of watching over him. A more specific coin that is supposed to bring luck is the British sixpence. According to the Victorian poem, to bring luck to the marriage, the bride is supposed to wear “Something old, something new, something borrowed, something blue, and a silver sixpence in her shoe.” The lucky sixpence would be placed in her left shoe by her father to wish his daughter good health and great wealth for the couple. 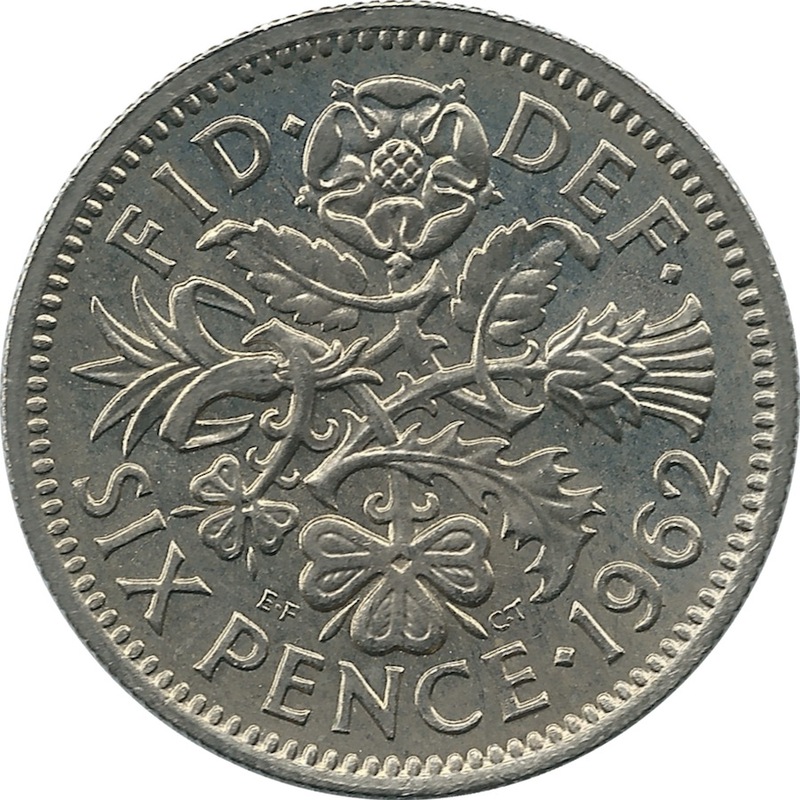 Although the sixpence was discontinued in 1971 when the United Kingdom converted from the old system to decimalization. The tradition remains popular in the UK and to a certain degree in the U.S. except a silver quarter is used. Then there are Feng Shui Coins. These are Chinese lucky coins that are supposed to attract wealth and success. Feng Shui coins are round and have a square hole in the middle. The round shape represents the heavens. The square is a symbol of the four corners of the earth. 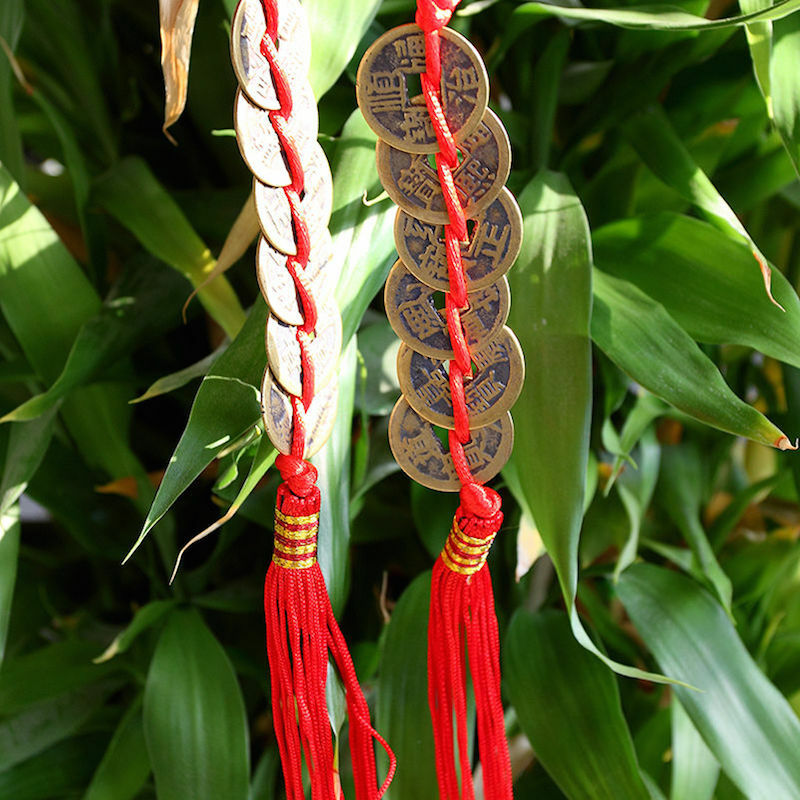 For luck, Feng Shui coins should be tied together using a red ribbon or thread. The red ribbon is said to activate the power of the coins to protect your existing income and attracting more money. The number of coins tied together is important. One coin is believed to promote loneliness and will leave you empty. Two is better but does not have the power of rebirth that three does. Three coins tied together represents the heavens, earth, and mankind. Four represents death and not something that would promote Feng Shui. The Chinese do not know why five is not lucky but this is accepted. While three is considered proper Feng Shui, making it more powerful would be three-times-three, or nine, coins. For luck, you can hang Feng Shui coins on the on the inside of your front door, not the outside. You want the luck inside. Do not hang your Feng Shui coins on your back door because it will luck to leave your house. You can place three Feng Shui coins on top of items to bring them luck. When you do this, it is important to place the Yang side facing up to invite the luck to protect your item. The Yang side is the side with the four characters. When giving a gift, attach three Feng Shui coins to the package to bring double happiness. It tells the recipient that with the gift you are also wishing them wealth, prosperity, and happiness. Doing this will add to your Feng Shui for giving generous and unselfish wishes. Numerology is the belief in the divine or mystical relationship between numbers and the physical world. Many people practice a mild form of numerology called a “lucky number.” For those who believe in some type of numerology can turn to the serial number of currency to add to their collection. Notes that represent dates can bring luck such as one that has your birthdate. For someone born on March 17, 1977, finding a note with the serial number 03171977 or even 19770317 could be very lucky. Since the numbers reset for every series and there are 12 Federal Reserve branches used as a prefix, you have quite a few chances of finding these. Of course, the Bureau of Engraving and Printing will help. If you go to their website at moneyfactorystore.gov and look under Premium Products, they sell special sets with serial numbers from the current year. 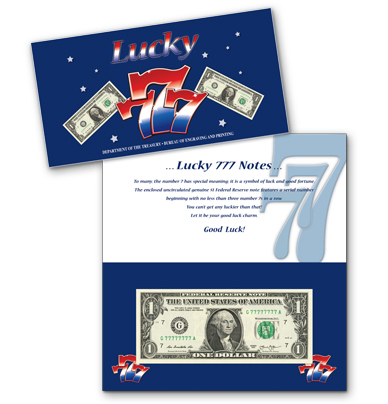 The BEP also sells lucky money that includes the Lucky 7 set. These notes have a serial number that begins with three 7s. You can also buy notes in special Chinese holders with serial numbers that begin with “8888” and “168.” In Chinese, the “eight” sounds similar to the word for “prosper” or “wealth.” Selling the Lucky 8888 note is to help promote prosperity and wealth. Go find your lucky coin and may you have health and prosperity.